Printed with ‘NEXT INSP. 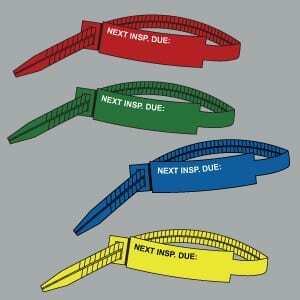 DUE:’ our pre packed 175mm & 300mm RigTags are sure to get you out of trouble, when you need inspection tags urgently! 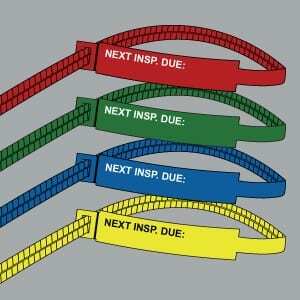 Available in the ‘RGBY’ quarterly inspection colours (red, green, blue & yellow) and pack sizes of 100 you can choose the colour best suited for the job.